Chin Implants For Men – 5 Situations When They May Be Needed! A strong and prominent chin is one of the defining features of a truly manly man, and in some cases, this particular facial feature may need a bit of help. Thus, there are many cosmetic reasons why chin implants might be considered by the burlier gender. There are also many other reasons why this particular surgery might be implemented, and we’ve compiled 5 reasons why they might be on your “to do” list. 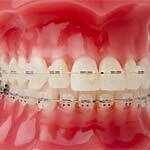 Orthognathic surgery is to procedure which corrects jaw and facial conditions untreatable with braces. Such conditions may be related to growth, jaw and facial structure, TMJ disorders, and even sleep apnea. Orthognathic procedures will either be used as a corrective jaw surgery to fully correct a bite misalignment, or as a broken jaw surgery for a jaw which was forcefully misaligned, or also as a way to correct other disorders which interfere with the well being of a patient due to facial alignments and more. The facial skeletal elements will be surgically manipulated to restore the skeletal anomalies present before surgery. Oral surgery is a type of medicine performed to resolve issues or injuries of the teeth, mouth or jaw. 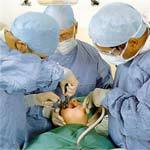 This type of surgery is not required to be performed in a hospital where other standard surgical procedures are done. Oral surgery involves procedures done to the mouth during a visit to the dentist or an oral surgeon’s office. 1. 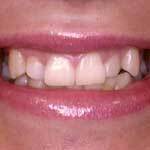 A wisdom tooth extraction is performed because of impacted or partially expelled wisdom teeth. This is done to prevent further wisdom teeth pain and the harboring of bacteria to cause tooth decay.